The diversity of Russia’s trees and flowers reflects the geographical complexity of the world’s largest country. Russia’s 6.6 million square miles range from Arctic tundra, forests and lakes to mountains to grasslands. Reflecting this diversity, Russia’s trees and flowers are important in horticultural, culinary, medicinal, symbolic and historical terms. The Maltese cross or Jerusalem cross (Lychnis chalcedonica) is native to Russia and Siberia, but became a world famous symbol, thanks to its distinctively shaped petals. Its bright scarlet blooms are at their best during early summer. Each flower is about 4 inches in diameter, with four petals shaped like a cross, which is how this flower derived its name and association with the real Maltese cross. Some varieties of the Maltese cross feature pink, white and double flowers. This flower reached the Mediterranean around the Middle Ages, and was likely introduced to Europe by the Knights of Malta during the Crusades. The Knights adopted the Maltese cross to represent their goals as Christian warriors. Each of the eight points of the cross denoted a specific aspiration. The Maltese cross flower prefers moist, well-drained soil and full sun. This outstanding flower was among the special selections made by Thomas Jefferson for Monticello in 1807. Christ's thorn or Jerusalem thorn (Paliurus spina-christi) is a native shrub that was once common, but is now rare. It grows in the Gissarskiy mountains in the western sector of the Pamiro Alay mountain system, accessible from Dushanbe, the capital of Tajikistan. This is a large shrub with a small, round crown that can reach heights of over 13 feet. Christ’s thorn prefers bright light and full sun and cannot withstand the cold, losing its leaves in the winter. It is a member of the Rhamnaceae family. Chamomile (Matricaria recutita) is the national flower of Russia and is native to west Asia. It is a member of the daisy family. It has a long European history as a culinary and medicinal herb, used for nervous diseases, to prevent gangrene and other conditions. Chamomile tea is an herbal aid for stress relief, depression, headaches and insomnia, according to the Mountain Valley Growers website. 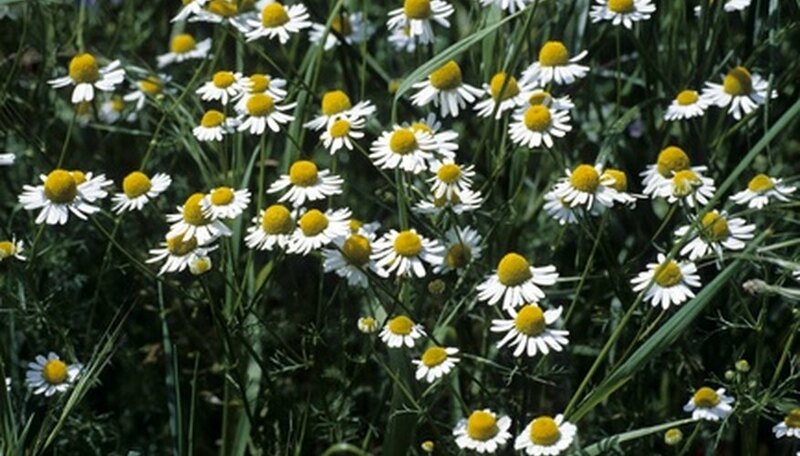 Chamomile is an annual, usually growing to about 16 inches high, with small and dainty, white daisy flowers. This plant prefers full to partial sun. The vast geographic span of the Russian-olive tree (Elaeagnus angustifolia) stretches from northern Russia to the Mediterranean, accounting for its adaptability. This tree is a perennial with smooth bark, clusters of fragrant flowers, berrylike fruit favored by wildlife and thorn-laden branches. It grows to heights of up to 40 feet, preferring moist soil and full sun. The Russian-olive tree arrived in the United States by the early 1900s to become a landscape plant. During the 1930s and 1940s, it created windbreaks for the Great Plains in line with government programs, according to the USDA Forest Service. In later years, state and federal agencies subsidized distribution of seedlings in the United States and Canada.